SA Minister Maher said he expected initial negotiations with the Adnyamathanha Traditional Lands Association, Far West Coast Aboriginal Corporation and Ngarrindjeri Regional Authority to be followed up by “several dozen” agreements. considering the gravity of the history and the agreement that must be reached by the government concerning the circumstance leading to the injustice, which great legal minds describe as wilful misappropriation. The situation of South Australian settlement is unique and bears no useful comparison to the circumstances of treaty negotiation in Victoria and other states. It’s fair to say South Australian founding demonstrated corporate annihilation of human rights via a wicked conspiracy to usurp the surprising goodwill and enlightenment of the British Government. The removal of this stain will require considerable navel gazing for all South Australians and acceptance of the true story of founding, not exactly highlighted in the states educational curriculum. This acceptance could then form the basis of mutual respect and honour enabling the nitty gritty details of treaty negotiations to move forward. A brief review of the history illustrates how the land was taken from them. A century later the same Act confounded the High Court of Australia, ‘it seems very singular to me’, commented Sir Samuel Griffith, ‘it is unique’, added Sir Josiah Symon. The stupidity and errors of the first Act creating South Australia makes a fine read, but core to the errors were the inclusion of the words ‘unoccupied wasteland’ and the creation (by order of the British Government) of a Board of South Australian Commissioners charged with the responsibility of managing the proceeds of land sales from private buyers, to enable the passage of assisted emigrants and meet the costs of government. 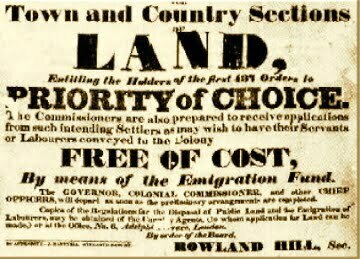 The scheme that would create a ‘convict free’ colony and a clean transplant of the best elements of British Society to the ‘Promised Land’. 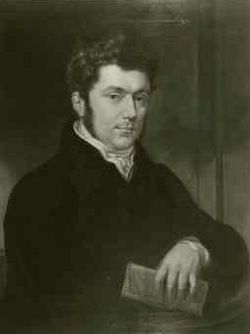 Such errors were well known to the recently appointed Secretary (known as the Angel) of the Colonial Office, Lord Glenelg who persisted with requests to amend the flawed legislation without effect with the principle goal of preserving the human rights of the aboriginals, in light of what he had learned of the atrocities committed against the natives by the Mitchell party in New South Wales. A successful and noble rear guard action by Lord Glenelg one would have thought, but sadly not. The plan to colonise South Australia, now under the excellent management of George Fife Angas and the South Australia Company had already pre-sold most of the City of Adelaide and surrounding country sections, meeting the obligations of the regulations under the absurd founding Act. 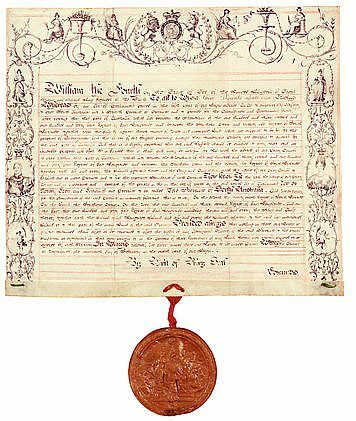 The onus was now upon the Chair of the SA Board of Commissioners, Sir Robert Torrens to renegotiate these now illegal contracts, pending the agreement of sale to the rightful owners as defined in the Letters Patent. This did not occur and herein exists the greatest blemish and stain of SA founding still not addressed to this day. A conspiracy to deny the indigenous occupiers of the ‘unoccupied wasteland’ the protections granted them by King William IV of England. Was there confusion or ambiguity in relation to these events? No, the requirements of the Letters Patent were also included in both the first and second instructions to the Board of Commissioners and so we must call to the stand Resident Commissioner (and lawyer) James Hurtle Fisher who had such instructions in hand, prior to embarking to South Australia , but who chose to ignore them. 34. You will see that no lands, which the natives may possess in occupation or enjoyment, be offered for sale until previously ceded by the natives to yourself. There were bloody and horrendous consequences on other fronts related to this peculiar non observance of the Letters Patent which cannot be detailed here but which points to more trauma inflicted upon not just the traditional owners but also European settlers post foundation. 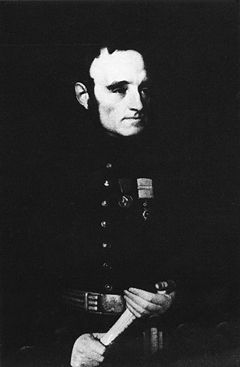 Second Governor of South Australia, Colonel George Gawler, a staunch christian and military man with no civil management experience, executed aboriginals without recourse to trial, in further flagrant defiance of the Letters Patent which bestowed the same rights to justice to the aboriginals as that provided to all British subjects. The history reveals the underpinning attitudes to tribes often referred to as ‘savages’ going some way to explain why good laws put in place by good people were ignored. Such grim and dark episodes of SA founding are not easy reading but are relevant to the process when assessing the damage and trauma inflicted when one culture makes presumptions of superiority over another, creating loss and suffering. So the The Minister of Aboriginal Affairs deserves credit for opening discussions that can lead to treaty and uncloak the worst aspects of the states history, setting the stage for aboriginal nations to play a genuine role in the state that is arguably legally theirs when the founding history is examined, understood, and ultimately appreciated. In taking these steps the Minister is enabling and empowering the indigenous communities denied justice for an excessively long period of time. Acknowledging the worst stains of South Australian founding history is an extraordinary challenge for any politician. This is inspired leadership and initiative that may lead to great healing and go some way to restoring public faith in governments that rarely take such truly great risks. 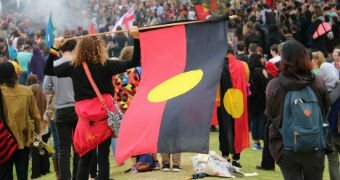 Will treaties with Indigenous Australians overtake constitutional recognition? Adelaide City – The Question of Rightful Ownership.